Mercedes-Benz emerged as the new leader with 13,502 units sold in January to December 2015, whereas 11,192 units delivered by Audi to its customers last year was its highest. 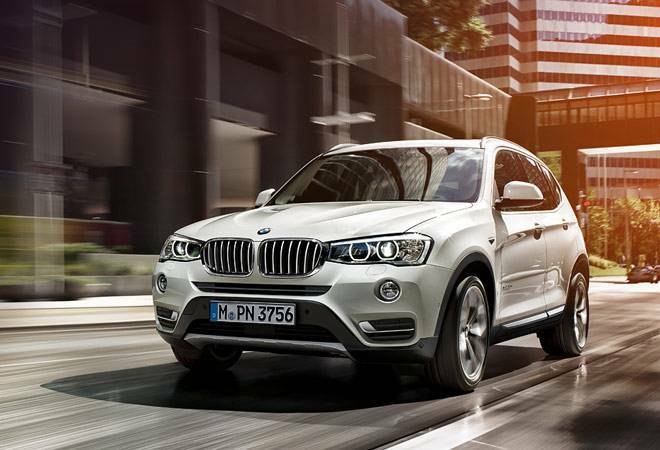 BMW X3. BMW is going through a rough patch as stagnating demand for its sedans and diminishing appeal for its SUVs have kept it in the third spot. It was the luxury market leader in India till 2012, when it lost the spot to Audi and has since failed to recover. The Indian luxury car space depicts a contrasting picture with BMW, the global leader lagging behinds its German peers for third successive year after flat sales in 2015 for the once market leader in the top-end of the passenger vehicle market. BMW sold a total of 6,890 cars in 2015 (6,550 BMW and 340 MINI), while its peers scaled new heights by selling record numbers in the same time. Mercedes-Benz emerged as the new leader with 13,502 units sold in January to December 2015, whereas 11,192 units delivered by Audi to its customers last year was its highest. BMW is going through a rough patch as stagnating demand for its sedans and diminishing appeal for its SUVs have kept it in the third spot. It was the luxury market leader in India till 2012, when it lost the spot to Audi and has since failed to recover. Mercedes-Benz, which became No. 2 globally late last year, gained the most in the Indian customer's mind on the back of its new crispy designs as seen in the CLA sedan and GLA compact SUV, helping the company regain the pole position on stellar sales after an eight-year gap. It had lost the leadership position in India to BMW in 2007. Experts and analysts say that BMW lagged on design fatigue even as its rivals have come up with more competitively priced products and new styles to attract buyers as the overall Indian automobile market remained largely sluggish. "Audi and Mercedes benefitted from their newly launched products, which are competitively priced to cater to the wider Indian audience," said Amit Kaushik, Country Head, JATO Dynamics, a UK-based automotive consulting company. "BMW has failed to respond quickly to competition even as its sales have failed to grow in the highly competitive market scenario." Despite the stagnation, BMW is aiming at sustainable operations in the Indian market. BMW Group India (BMW and the MINI Brand) President Philipp Von Sahr says the focus remains on long-term sustainable growth in India. "We are looking at several aspects and prefer to have delighted customers with high luxury quotient and also maintain strong partnership with our business channels like suppliers and dealers," he said. The luxury car market has not witnessed huge demand or growth in the past few years, though it has not shrunk like the mass car segment. A total of 33,007 luxury cars were sold in 2015, an increase of 21 per cent over 27,275 luxury cars sold in 2012. This is without the sales of Tata Motor-owned Jaguar & Land Rover, which did not share sales data for the past two years. The luxury car market may suffer a setback in 2016 as the Supreme Court has banned registration of all new two-litre or 2,000-cc diesel cars in Delhi-National Capital Region for three months till March 31. It is bound to affect sales in the last quarter of the fiscal.